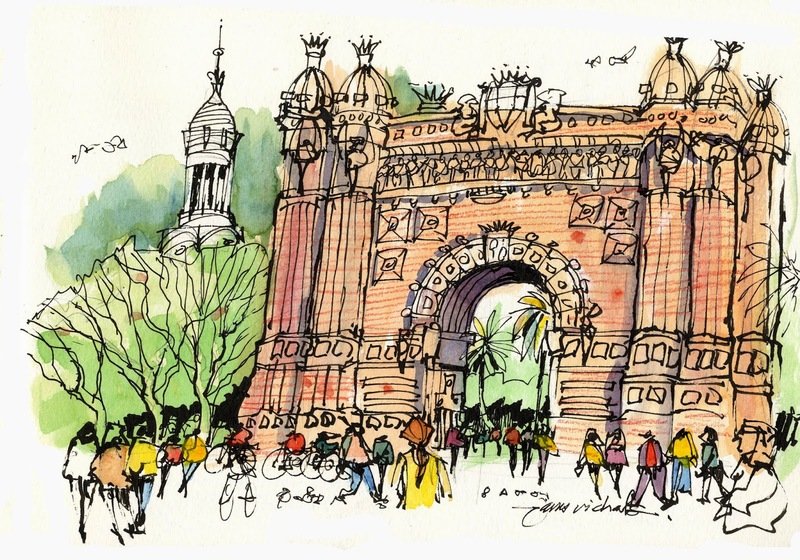 I'm delighted that Lizzie Davey invited me to do an interview for her stunning art and travel website, Wanderarti. You'll enjoy browsing the site and sampling the great variety of fascinating posts. Here's the link to my interivew; I hope you enjoy it. 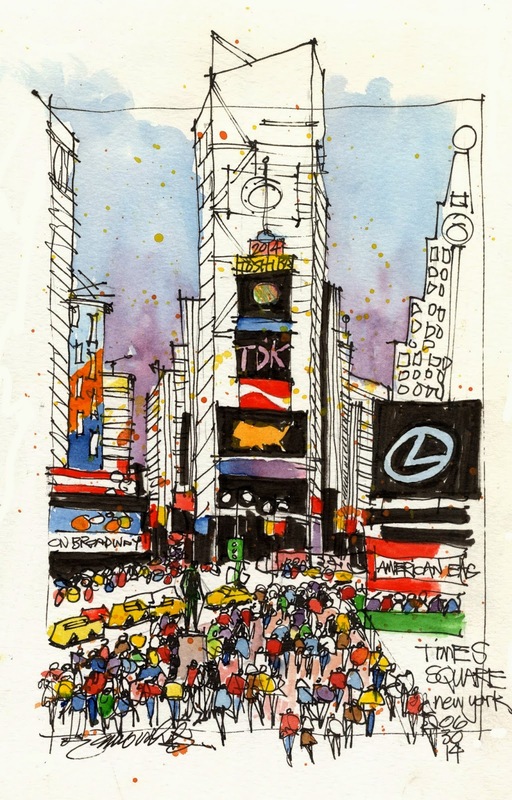 Times Square drawn on location with Lamy Safari pen and watercolor. Very hot! Here's a fun one from this week's trip to New York. I've wanted to draw Times Square for decades, but never found myself in the right place/time/circumstances. So here we are! For this 20-minute sketch drawn on location from those bleachers at the north end of the "square," I tried to focus detail and color to convey the high energy of the scene, especially the crowds of people moving through. 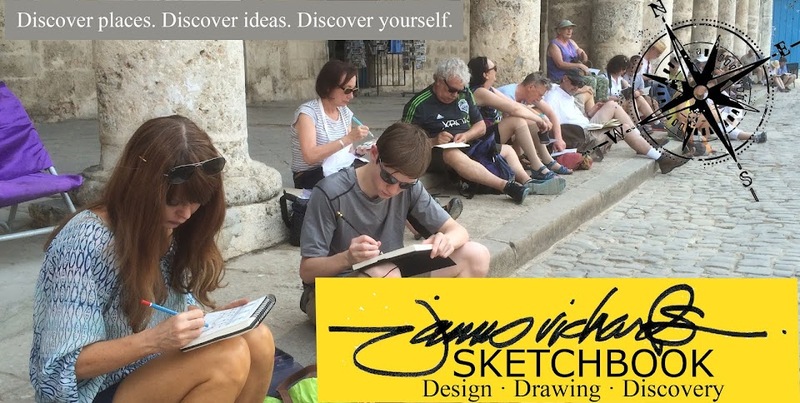 I'd hoped to get out and sketch it at least once more while we were there, but this one will have to do...for now. Already looking forward to a return visit.